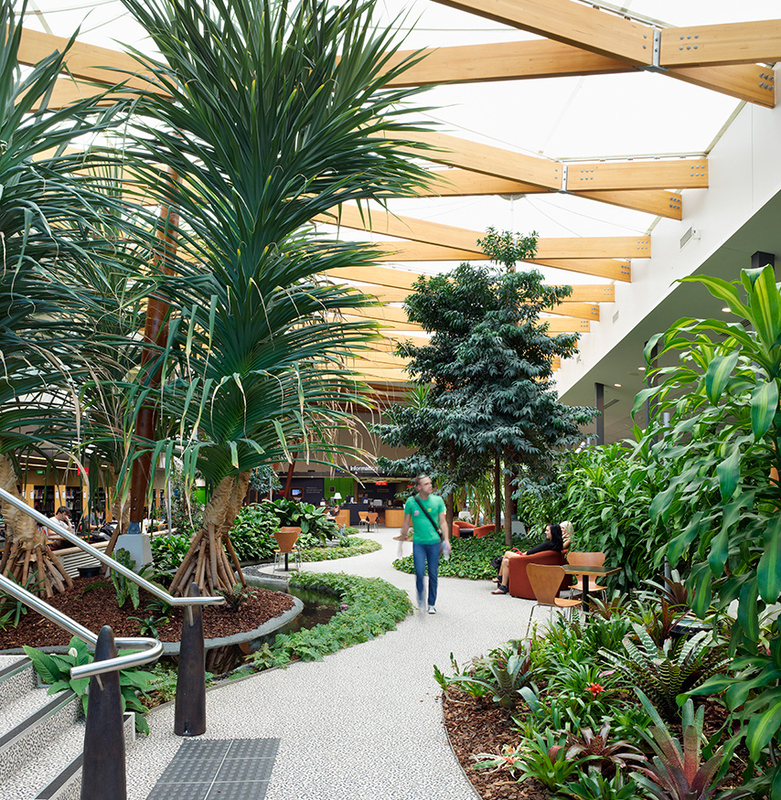 The positive contribution to the health, wellbeing and behaviour of the occupants of the buildings fitted with interior landscapes is now well known and accepted. The Powerlink project has provided strong empirical evidence of the beneficial effects of interior landscapes on the workplace environment and have provided the base for our considerable understanding, expertise and experience relating to the sustainability of plants within interior air conditioned building environments. An award winning internal atrium space formed the hub of an open plan office developed from an unlikely corrugated iron warehouse to house the offices of Powerlink. 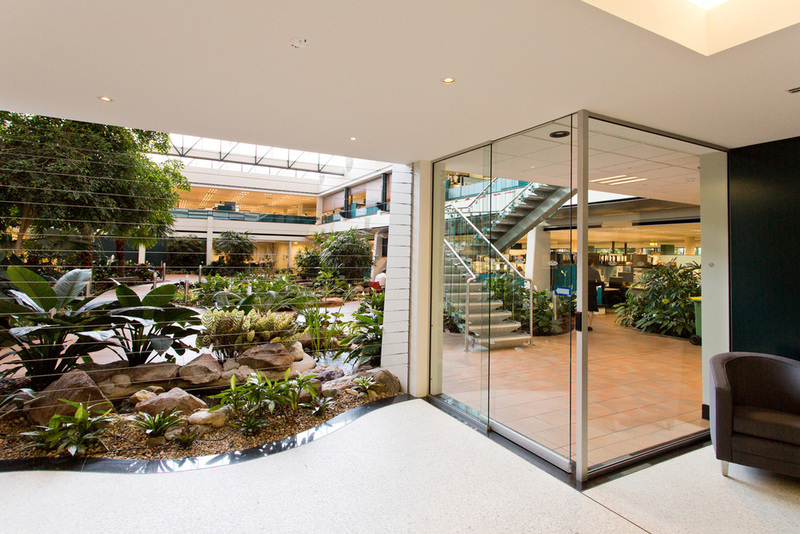 The atrium resplendent with watercourses and trees and ground plants provides “lungs” to the office, filtering air and creating a calm and distinctive and healthy work place environment. The internal landscape emerges to the outside where the 1000 plus staff utilise landscape spaces for both socialisation and work related private and group meetings. Wilson Landscape Architects also completed a new outside covered space linking with the external landscape, harbouring additional spaces for socialization and work related meetings in 2012.